French dancer Marie-Agnès Gillot is the living definition of a powerhouse. Known for her intensity, athleticism, and modernity, she has proven that a contemporary ballerina need not be creatively or physically limited to classical roles. From performing with live swans to judging a television dance show to premiering her own works on the Paris Opéra stage, Gillot embraces the many opportunities that come her way with a palpable curiosity. However, her place in the professional dance world was far from preordained. A dance student from the age of five, Gillot faced double scoliosis from a young age and wore a back brace for years. Determined to not let her physical limitations crush her dreams of dancing into adulthood, she pursued more serious training at the famed Paris Opéra Ballet School at age nine and eventually broke free of her restrictive brace to become one of the most in-demand dancers – and choreographers – in France and beyond. Today, the audacious dancer, artist, and mother continues to exceed the expectations of each role she inhabits. It’s little surprise that AnOther sought out Gillot last March to star in an installment of their MOVEment series, which found the Parisian performing in a Daniel Askill-directed short dance film. 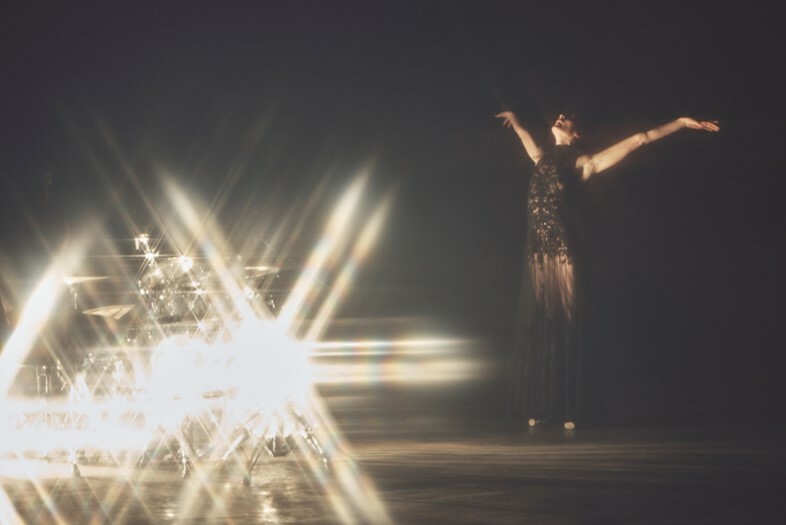 She commands the cavernous space with her trademark mix of grace and strength – one moment freely twirling, the next pounding her point shoes firmly into the ground to the sound of a live drumbeat, all while donning a diaphanous black lace dress specially designed by Alexander McQueen’s Creative Director, Sarah Burton. Indeed, Gillot cuts a striking figure both on and off stage. 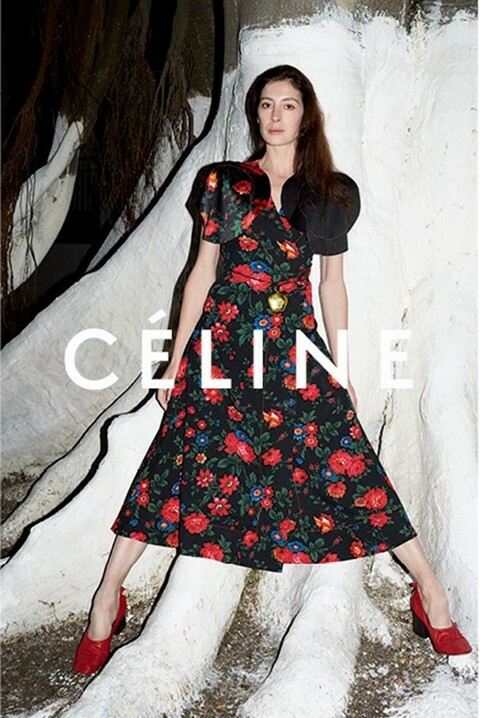 Whether performing in works by such notable choreographers as William Forsythe and Benjamin Millepied or starring in Céline’s Spring/Summer 2015 campaign shot by Juergen Teller, Gillot radiates a powerful presence that has drawn creators from both the dance and fashion worlds into her orbit. Fittingly, her long-limbed silhouette looks as elegant in a leotard, tulle skirt, and point shoes as it does in a pantsuit and killer heels. The wide range of Gillot’s dance career thus far is the mark of a perpetually open mind in motion. From her romantic turn in Paquita, a ballet cannon staple, to Pina Bausch’s evocative Orphée et Eurydice, Gillot shines in both classical and contemporary works, while always making them distinctly her own. Yet while she steadily rose through the ranks of the Paris Opéra Ballet, earning a spot in the Corps de Ballet in 1989 and becoming an Étoile in 2004, Gillot has since taken the choreographic reins into her own hands. Starting in 2007, she has staged her own innovative and critically acclaimed works across balletic, contemporary, and even hip hop styles. Her well-received Sous Apparence, which premiered at none other than the Palais Garnier in 2012, featured both men and women entirely on point. In a New York Times profile on Gillot that same year, the reporter asked whether she was making an explicitly feminist comment about the role of women in ballet. Clearly not one to be constrained by her gender, Gillot eloquently explained that she “wanted to explore the idea of a man on point in a way that wasn’t parody, but as a purely choreographic idea.” Despite cutting her teeth in the strictly hierarchical Paris Opéra Ballet, Gillot has grown as an artist by seeking out ways to prove herself as both malleable vessel for others’ artistic visions and independent creator in her own right. In a field where it’s tempting to constantly compare oneself to others, Gillot is a living testament to the importance of honing those inimitable qualities that only you possess. Following in the footsteps of such luminary female dancers and choreographers as Martha Graham, Yvonne Rainer, and Trisha Brown, Gillot leaves a lasting impression on audiences even when she’s not the one dancing. Most significantly, she has proven herself a creative force to be reckoned with in an artistic medium that still stubbornly remains, in many ways, a boys’ club. Gillot has certainly inspired fellow female dancers to push themselves outside of their comfort zones and make the work they wish to see in the dance world. As her career continues to evolve, we look forward to seeing more trailblazing women like Gillot make their mark on the genre – be it on or away from the stage.